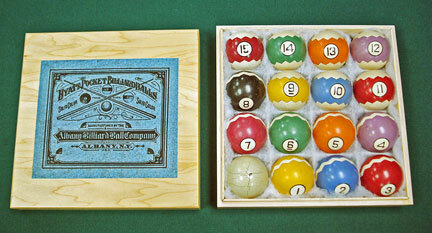 #10-06 Antique pool balls are available as singles, or in full sets. Great for a wall display in an antique ball rack or as billiard room decorations. Old clay pool balls show age cracks and chips. Antique ivory pool balls show veins and lines. Some sets of pool balls are sold in original boxes as shown.